Visual marketing is becoming an important part of the online marketer’s tool box – especially because images are global, easy to digest and distributable. There are some nonprofits experimenting with Instagram. 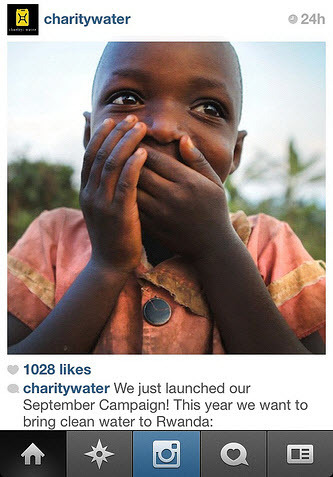 I’ve been following charity:water, which has been posting a photo of the day. Charity:water’s CEO, Scott Harrison, is also using it quite skillfully to share imagery about his organization’s work. Like many nonprofit leaders and staffers, Scott is “mixing up the personal with the professional brand.” I think Instagram is a terrific platform to do that if you have a culture that is comfortable with mixing it up and, of course, people who like to share photos. Others are using Instagram by sharing visual stories about their programs using a branded profile, like Children’s LA and Unicef USA. Take a look at the how the US Embassy in Wellington, New Zealand, uses it. Instagram is one of those channels where a nonprofit could start with a small pilot that is strategically linked to communications or marketing objectives, and pick a success metric to track. First, however: best practices and measurement, learning, and improving. This guide for business marketers is relevant to nonprofits. It boils down the techniques to: Curate, Snap, Hashtag, Engage, and Repeat. Simply Measured offers a free report that lets see which of your photos/stories was most engaging. I ran an analysis on my Instagram experiment and discovered that my most engaging photos included monks, clouds, and cats! Porter Mason from UNICEF USA also suggests this other measurement tool: Staigr.am. 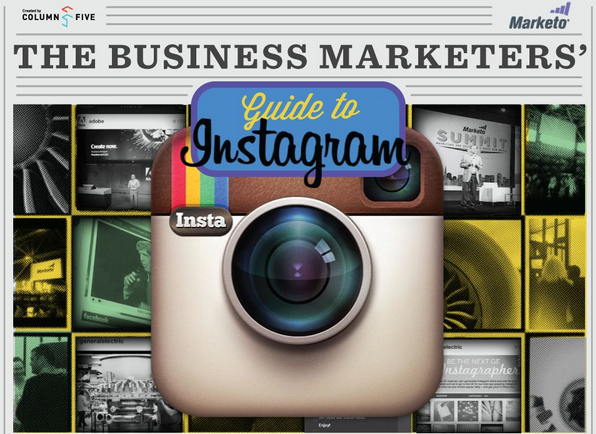 Is your nonprofit experimenting with Instagram? What have you discovered? How are you defining and measuring success? Beth Kanter has more than 30 years working in the nonprofit sector in technology, training, capacity building, evaluation, fundraising and marketing. Republished from bethkanter.org (we’re fans!). We use Instagram photos, but mostly we re-Pin nice photos from our visitors to our other social media sites, either from Instagram or from when they co-post to Twitter. Haven’t found a valuable way to use Instagram directly, nor any statistically accurate way to measure results, but we know our Fans love seeing beautiful pictures of our historic site. How do you feel about what we’re doing with Instagram at Compassion International (@compassion)? What strikes you about our photos and stream? Do you get a sense of who we are and what we’re about? As always, thanks for the great post Beth! I’ve been keeping Instagram in the back of my head for new event engagement ideas, especially as I’m seeing all these great pics come through my stream from #bbcon. It’s really helpful to see how other nonprofits use the platform on a regular basis. Hopefully we’ll incorporate even more visual content on the regular, and especially at #13NTC. socialbakers, hootsuite and socialkik are great sites for social media where you can share anything about your thoughts. You can increase you fans and followers to using these social media sites.